Property 1: "The Romantic Mountain Getaway" - Includes Breakfast! Our own Farm Fresh Eggs! Property 2: The Loft At Julian Station - Food, Tasting Rooms And Country Walks In One Place! Property 4: "Story Book Barn" Charming! - Includes Breakfast! Our own Farm Fresh Eggs! The Gnome Home at Shadow Mountain Ranch! Property 5: The Gnome Home at Shadow Mountain Ranch! The Enchanted Cottage at Shadow Mountain Ranch! Property 9: The Enchanted Cottage at Shadow Mountain Ranch! Cathleen's Country Cottage Welcomes Children and Pets! We provide free NETFLIX! Property 17: Cathleen's Country Cottage Welcomes Children and Pets! We provide free NETFLIX! *From $99.00 Nt Sun-Thurs* Romantic Palomar Mountain View Cabin with Hot Tub. Property 18: *From $99.00 Nt Sun-Thurs* Romantic Palomar Mountain View Cabin with Hot Tub. Grandma's Attic at Shadow Mountain Ranch! Property 20: Grandma's Attic at Shadow Mountain Ranch! Pheasant Hill Cabin. Cozy and dog friendly. Property 21: Pheasant Hill Cabin. Cozy and dog friendly. Vintage/Modern Cabin Fever! Fun on the Mountain! 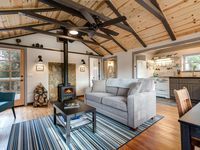 Property 24: Vintage/Modern Cabin Fever! Fun on the Mountain! Ponderosa Log Cabin Sleeps Six Max. Property 28: Ponderosa Log Cabin Sleeps Six Max. Beautiful 2BR/1BA Cabin in Julian!!! 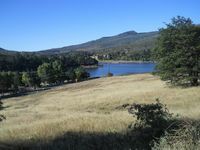 Property 33: Beautiful 2BR/1BA Cabin in Julian!! !